ERoofPro is a mobile roof estimate app that sets the standard in aerial measurements. It provides accurate roof measurements and generates multiple project proposals, connecting both homeowners and roofing contractors. Learn why our app makes roofing projects easy and hassle-free to do. ERoofPro essentially acts as the middleman between you and the roofing contractor that you’ll be working with. It’s a platform that connects both parties efficiently through an easy three-step process. Once you enter your address into ERoofPro, it will provide a list of contractors sorted according to proximity. The application will generate a roof measurement and create three proposals for the job, and you can choose one that best fits your project specifics. ERoofPro will then send you a list of nearby contractors, after which all you need to do is select one contractor from the list to get the job done. Our mobile app takes as much guesswork as possible out of the proposal process of your roofing project by providing you with accurate estimates that give you the confidence to do your roofing project. Thanks to EagleView Technologies, the leader in aerial imagery and data analytics, we can pinpoint accurate roof measurements and generate detailed projects proposals in a minute or two. Finally, using our app enables two-way transparency between you and your prospective contractor. For homeowners, the benefit is a straightforward roof estimate and pricing on your roofing project. For contractors, our app reduces unnecessary risks during the process and ensures the project gets done as quickly as possible. That’s because they will also receive an EagleView measurement report and a pre-generated proposal. Additionally, they will be connected to targeted leads through the platform. 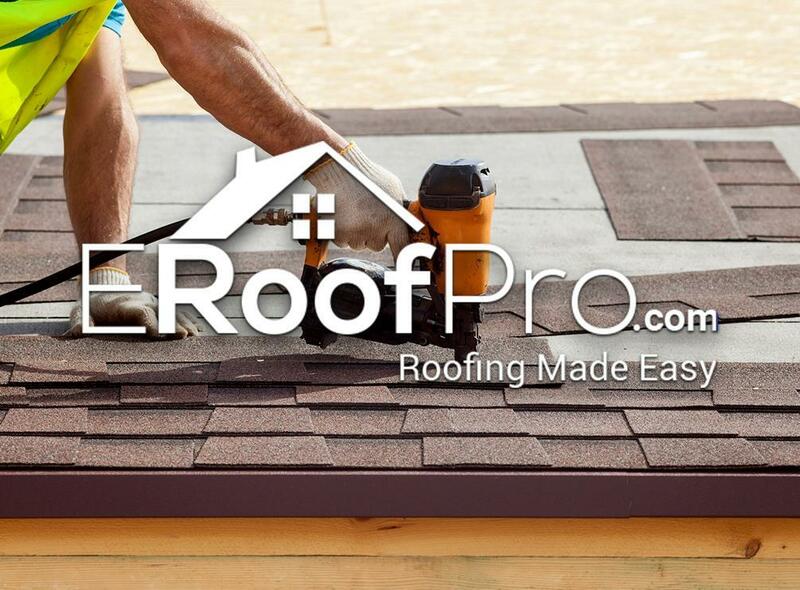 ERoofPro is roofing made easy. Give us a call at (844) 881-9444 for more information on our services.